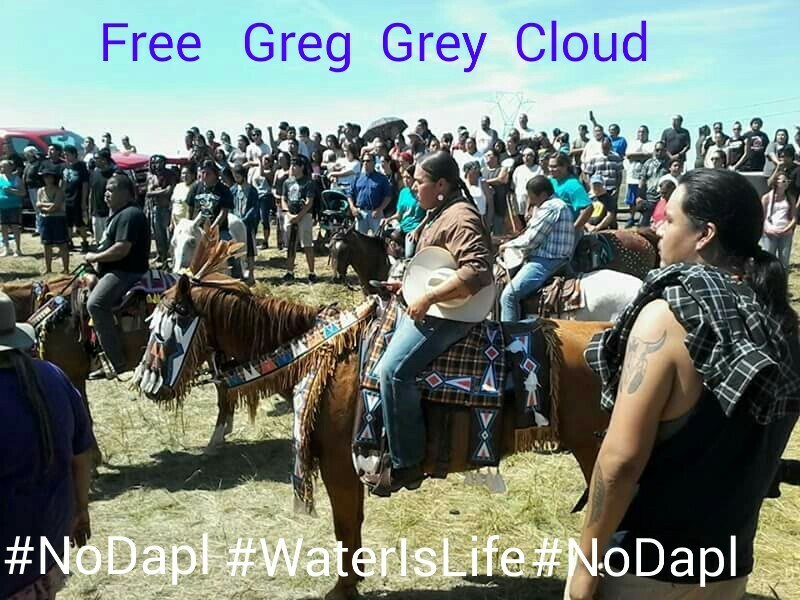 Tonight we played coverage of Standing Rock with updates on Greg Grey Cloud’s arrest without bail, current news and an interview with Barry Nelson, Organizer for the ND Human Rights Coalition. Good morning! I just finished listening to your shows. First, I want to thank you for the media attention that you’re bringing to my people. I had gone to the podcasts to listen to the interview that you had done the day I was there a few weeks back. You gave me a card. You may want to check with the Standing Rock Sioux Tribe about funds donations. 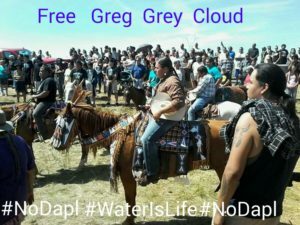 What you’re doing is soliciting funds, on your website, for individuals and organizations, who decide how and where any monies will go, as opposed to the accountability of the Standing Rock Sioux Tribe. When there are gofundme accounts to private individuals and organizations, there is no accountability. You may want to research the individuals and organizations before posting funding links for them. If the Standing Rock Sioux Tribe has links that they’ve posted then those are legitimate and are being held accountable for all funds that go to them. There’s misinformation being perpetuated when media and social media don’t verify the validity of statements and posts. This is an issue with the legitimate representatives of my people regarding the pipeline protest. When people trespass onto private property then they are subject to legal action, such as being maced, and arrest. When they resist, passively or otherwise, the police respond with whatever force is necessary. This is what law enforcement does. Those of us who were born in the struggle know about passive resistance. Our spokesman, Dave Archambault – Chairman of the Standing Rock Sioux Tribe, addressed these issues at the camp, yesterday, as well as previously. I left last night and didn’t get back to Minnesota until 4:00 a.m., so I’m operating on very little sleep right now, and am probably not too coherent in my dictation. You might want to find out what’s going on through the appropriate channels. Dave has been working with the legitimate 1868 Treaty Representatives and has our respect and support. You’re doing a great job. I apologize. There are those who would take advantage of you and use you as an opportunity to further their own ends. I don’t like anyone who misrepresents themselves and who use people like you to line their pockets at the expense of my people. They’re wrong and know that they’re wrong when they do it. Thank you for taking the time to read this. Again, I apologize. I trust that I’ve expressed myself in a way that you don’t find offensive. I’m in my feelings right now. I don’t like it when people use others to further their own ends at the expense of my people. Some of us were trained as leaders since birth. The only people who feel threatened by us are those who don’t understand that our lives center around our people. Everything we do is for our people. We don’t tell our people what to do. We are a reflection of our people. We lead by example. It’s not complicated. Our lives belong to our people.